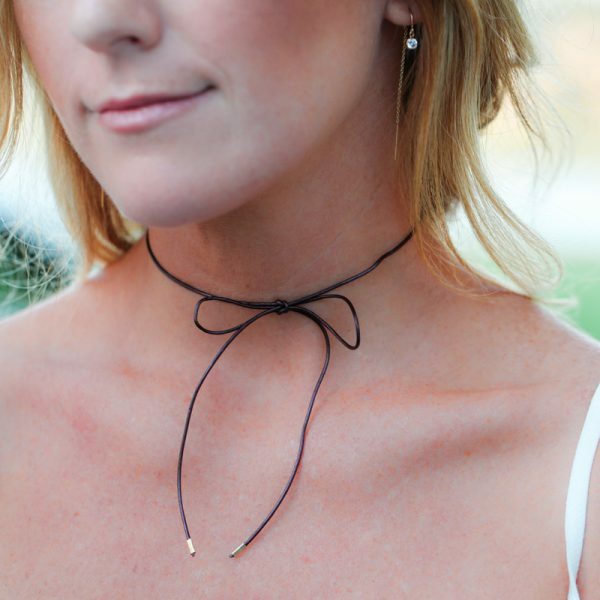 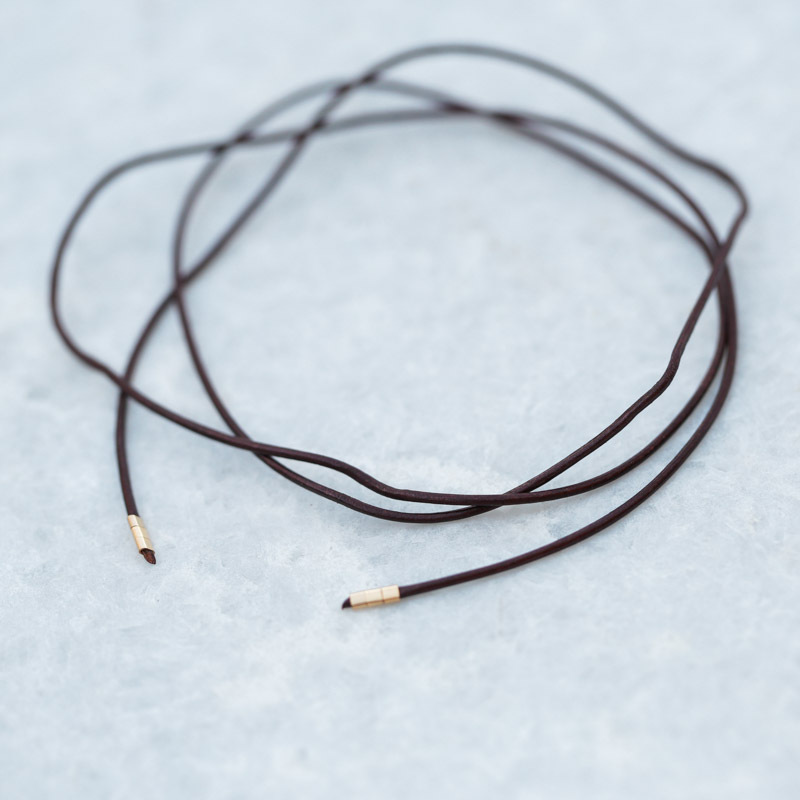 The Skinny Choker features a dark maroon color, finished with 14k gold crimp beads. Can be worn in a bow or tied twice around. 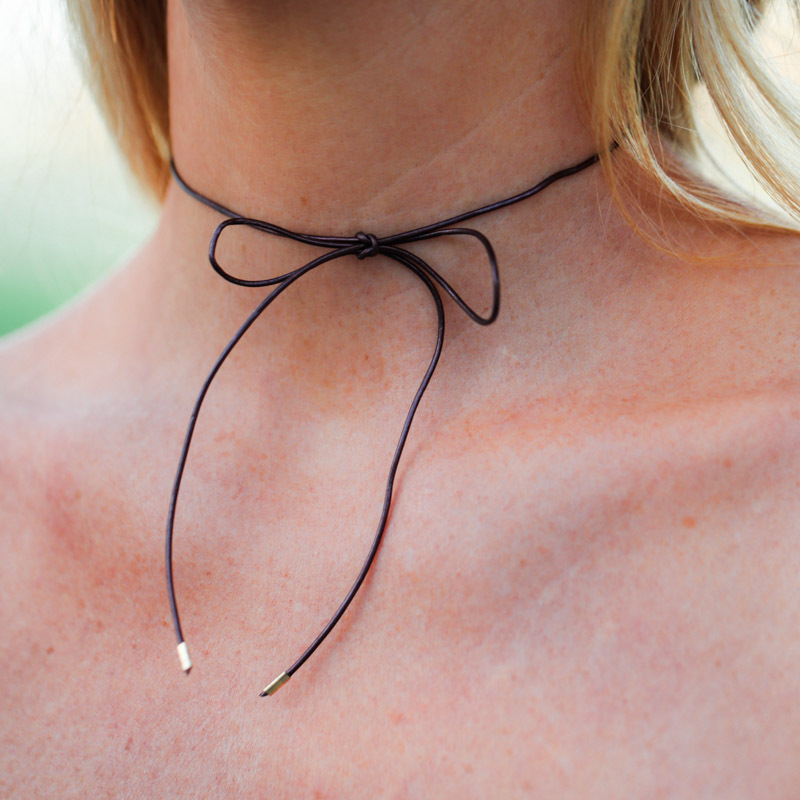 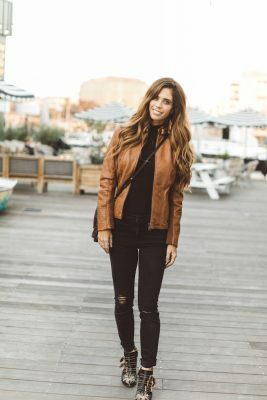 The cutest layering necklace for Fall.